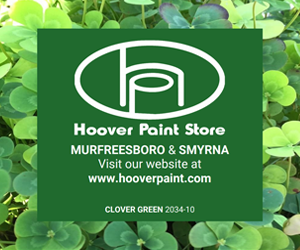 WGNS had an overwhelming response of positive feedback on past post we created that take a look back into Murfreesboro and Rutherford County history. With that being said, we have decided once again to team up with Shacklett’s Photography and Southern Heritage Photography to bring you more historic photographs of our community. Above: This view of the East Side of the Rutherford County Courthouse was taken about 1880. Visible is the old bell tower on the original structure. Above: This turn of the 19th century photo shows the South East side of the Courthouse. The wrought iron fence served as a hitching post. Note the primitive electric poles that served the area. Thank you Shacklett's Photography and Southern Heritage Photograph for allowing WGNSradio.com to post these great pictures. Above: This photo taken at the turn of the century of the Courthouse and the Court Square area demonstrates the significance of the central business districts activity with buggies and wagons. The population had not yet widened beyond the center of town. Photo on WGNSradio.com compliments of Shacklett's Photography. Above: This circa 1930 photo of the North East view of the Courthouse shows the Confederate Monument. The monument was erected in 1901 and moved during the early 1920’s when the streets were widened in the square area. A special thank you to Shacklett's Photography for allowing WGNSradio.com to post these great pictures. Above: By the 1940’s the Rutherford County Courthouse although it was the center of the county’s government affairs, it a fallen into disrepair. Local whittlers would gather with local politicians to discuss the events of the day. Photo on WGNSradio.com compliments of Shacklett's Photography. Above: This is a view of the Rutheford County Courthouse in the 1940's. Shacklett's Photography worked with WGNSradio.com to allow for these great pictures to be posted. Above: By the 1950’s the Rutherford County Courthouse although it was the center of the county’s government affairs, it a fallen into disrepair. Local whittlers would gather with local politicians to discuss the events of the day. Photo on WGNSradio.com compliments of Shacklett's Photography.